The BC Cattlemen's Association is a grassroots association, therefore membership to the BCCA is accepted by the local associations. This is a great way for cattlemen new to the area to meet with others to discuss industry related issues. 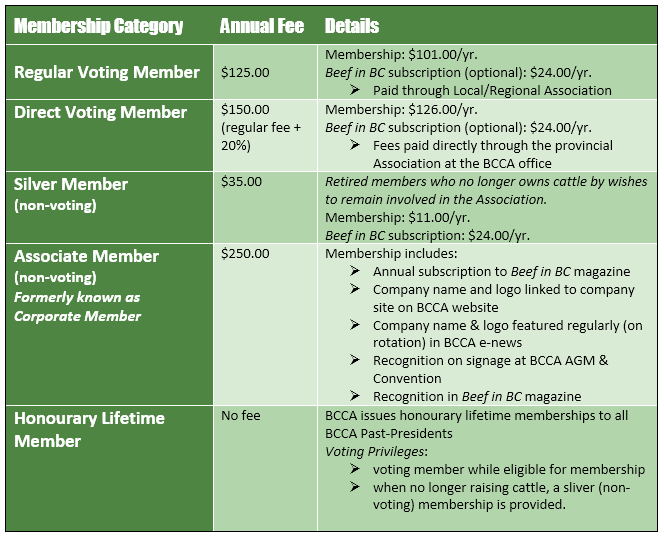 There are many benefits of membership in the BC Cattlemen's Association. Most notably is that staff, Board of Directors and Committees all work for you, the producers, on lobbying government, communicating the latest industry news & positions, and by offering programs & services to our members. We are a strong and credible advocate for British Columbia beef producers. 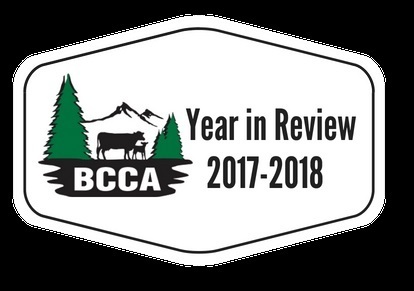 Check out our YEAR IN REVIEW outlining what we accomplished for our members in 2017-18. Cattle producers, through membership in the BCCA, also have representation and a voice at the Canadian Cattlemen's Association and the British Columbia Agriculture Council. BCCA members receive a subscription to Beef in BC, the bi-monthly magazine produced by BCCA to keep members informed and up-to-date on issues important to ranchers. Your membership helps maintain and strengthen the beef industry. The BCCA appreciates the dedication of all our members and volunteers. Let's keep working together to make BC's beef industry strong. Take out a membership in the British Columbia Cattlemen's Association today!